We ship directly to our customers worldwide. Your order will be processed on a secure server at GreenTeaMerchant.com, then efficiently handled and shipped from either Mountain Home, Arkansas USA or Shizuoka, Japan. 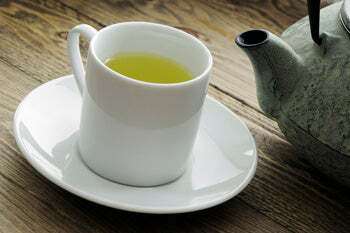 Our Japanese green tea products are neither sold nor distributed in Japan from this web site. All of our teas are packaged in foil bags, so they arrive to you fresh. We offer Guaranteed Satisfaction and Free Shipping, as explained below. KagoshimaTea.com and its employees have never released and will continue to refuse to release the private information of its customers for any reason at any time, now or in the future. Store Guarantee: We accept Visa, MasterCard, American Express and PayPal. All transactions are processed on a secure server. If for any reason you are not completely satisfied with any of our "consumer-packaged" products, please provide us with your purchase information, and we will, without question, give you a full and unconditional refund (excluding applicable shipping fees). There is no need to return the product. You may make use of it as you desire. We reserve the right to limit future sales to anyone who takes unfair advantage of this generous privilege. Ã¢â‚¬Å“SAVE 20%Ã¢â‚¬Â retail purchases and wholesale orders are not included in our Guaranteed Satisfaction policy. Free Shipping: Free shipping is effective for all orders shipped worldwide of $40 or more. Orders of less than $36 will be billed a flat rate of only $5 for shipping and handling, while those of $36 to $39 at only $2. Delivery: Almost all consumer-packaged orders are shipped without tracking from either the USA or Japan by regular Ã¢â‚¬Å“small packetÃ¢â‚¬Â air mail, or in the case of large packages, by ground or ocean freight. Most orders arrive within 10 days under normal conditions. Please contact us before you place your order if you wish to pay extra for it to be shipped with tracking, insurance, return receipt or by registered mail. Overnight or other expedited shipments are usually not available. We regularly use the USPS, Japan Post and UPS (includes automatic tracking) at our discretion. These shippers are highly efficient and we rarely have problems with them. Our shipments are sometimes subject to customs inspection, which may delay the arrival of your order, and for which we have no control over. Please contact us if you have not received your tea within 30 days. If after 30 days your order has been determined to be lost, abandoned or stolen, we will give you a full refund less any previously paid shipping and handling charges. We will not make a shipment twice to the same address where problems have occurred unless the shippee pays additionally for secure delivery service. Order Processing, Order Receipt: Once you submit your order, and it is successfully processed on our secure server, your browser will display an order summary entitled "GreenTeaMerchant.com Order Receipt." Please print this page for your records. Shortly thereafter, you will receive an email confirmation as well, but this email could be delayed owing to Internet server traffic. You will not receive a follow up e-mail after your purchase has been shipped because most orders arrive within a relatively short time period. Taxes: Tea is not subject to sales/consumption tax in the US. Sales/consumption tax on shipments outside the US will be collected by the carrier, dependent upon the local tax authority regulations, and is the responsibility of the buyer. If tea is taxed in your part of the world (Europe for example), the carrier will collect this tax from you the buyer. Please contact us if you would like to place a wholesale order to be shipped directly to you from Japan. The minimum size order is five kilograms per tea plus shipping. The minimum order may be ten kilograms per tea for which we can be flexible about the packaging. Please inquire. You may also call or fax us in the USA or Japan at the numbers listed below. If you encounter a recorded message (either in English or Japanese), please leave a brief message and we will return your call as soon as possible. We look forward to serving you.